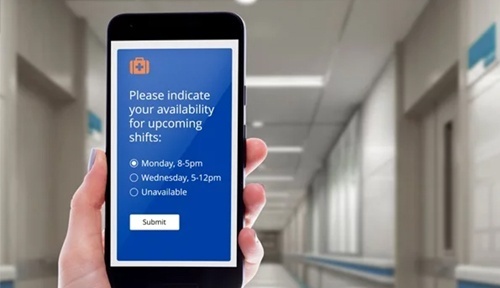 Understanding the unique demands of hospitals is critical for efficiently communicating with staff. There are many challenges in this fast-paced, unpredictable environment. 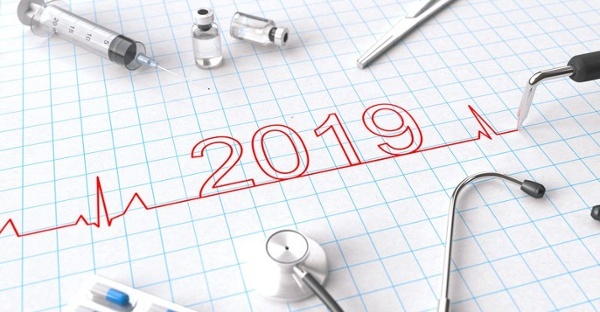 The needs of communication in healthcare are diverse – from urgent (system outages or on-site crises) to informative (operational reminders or process updates). Good internal communication is at the operational heart of every successful hospital. Reaching thousands of hospital staff with the right information, in the right way, at the right time, is essential. Today’s modern hospitals demand modern communication tools. SnapComms unique internal communication tools help overcome communication barriers in healthcare providers and hospitals worldwide. 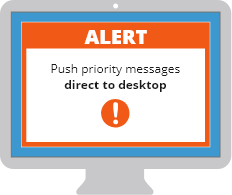 Desktop (or mobile) alerts are the ultimate for instant employee attention. High-priority messages are delivered directly to desktop and mobile devices. 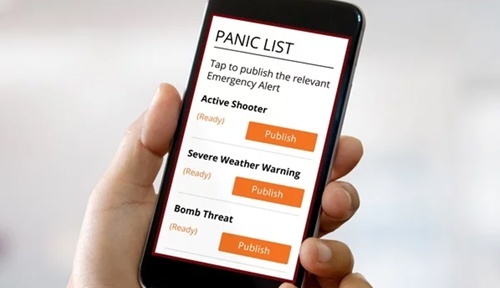 They display as a pop-up notification or full-screen in the case of an emergency. 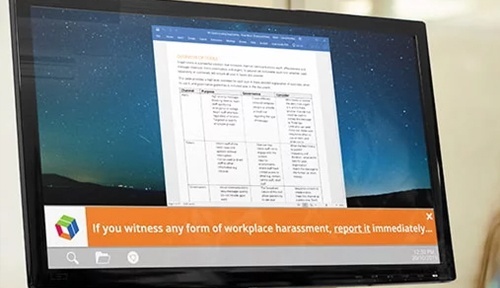 Desktop tickers update staff through a moving ribbon of text across the bottom of computer screens. Its concise format is perfect for delivering bite-size chunks of information. High impact but low intrusion, and a discreet channel for public-facing areas. 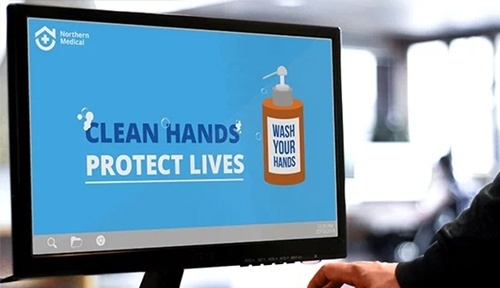 Screensavers offer eye-catching visuals and high repetition to promote hospital values and processes around patient care. Use them to improve staff knowledge and promote correct behavior. They can even include hyperlinks to additional online material. 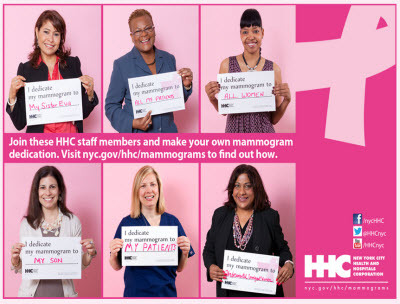 A digital newsletter builds positive culture by sharing healthcare success stories and tips. Rich media formats ensure higher engagement. Uniquely branded newsletters can focus on specific areas, for example Compliance or Cyber Security. Staff surveys capture essential insights, suggestions and frustrations from staff. Responses are simple for staff to make and results easy for administrators to access – providing managers a wealth of useful data. The RSVP tool improves the effectiveness of training programs. Staff are encouraged to attend and participate, which increases the value of the sessions and improves overall hospital operations. 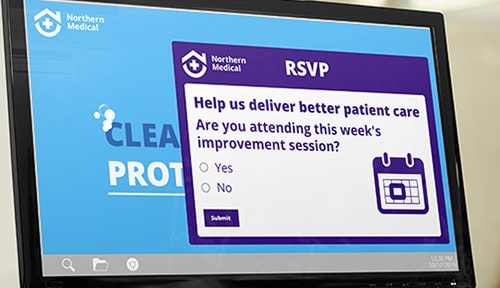 Inform staff of facility updates or new processes, and inspire them about patient care promotions, through dynamic screensavers. Gauge current understanding through a staff quiz. 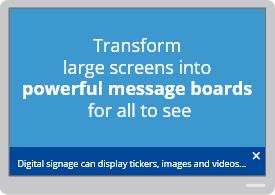 Communicate hospital values through billboard-style screensaver messages on computers and digital signage. Use ticker messages to update without disturbing patients. 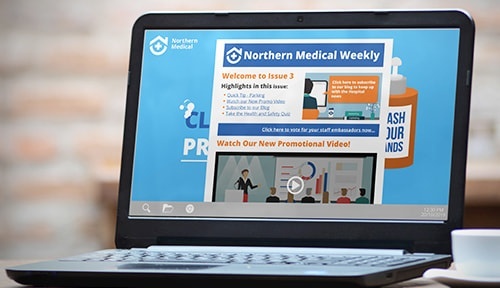 Use digital newsletters to share positive healthcare stories of commitment and patient impact that inspire staff. Use the RSVP tool to improve training effectiveness around updates to computer systems, hospital codes, response processes etc. Use alerts to impel staff to take immediate action or provide important time-sensitive information. 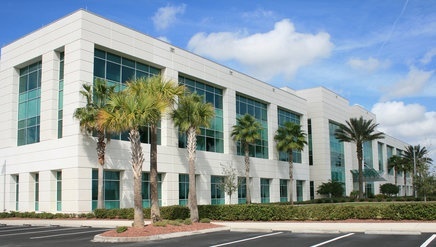 For example, to evacuate the building in the event of an emergency or use an alternate system when an IT outage occurs. Publish regular status updates via tickers to keep staff informed. Gather critical information on situations through surveys – both during and after the event. 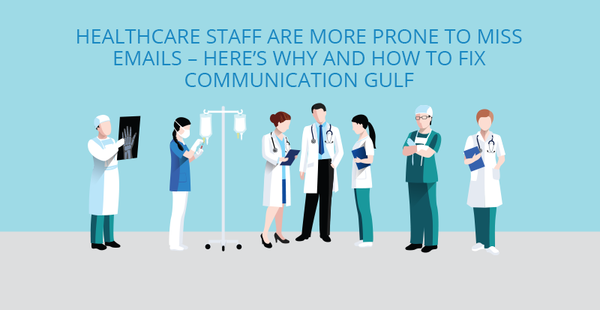 Create more powerful healthcare communications, develop stronger workplace culture and build higher employee engagement with special features of the SnapComms platform. Targeting allows messages to be delivered specifically to different staff groups or devices to improve readership. Many staff work shifts, operate in different buildings, and have roles based on wards with infrequent access to computers. Targeting increases engagement as messages are sent only to those staff to whom they are relevant. Recurrence settings allow messages to be repeated until staff acknowledge or interact with them. This is especially useful for encouraging high participation with staff surveys or quizzes. Requiring staff to acknowledge readership also helps fulfil compliance requirements. Pre-configure messages by setting them up ahead of time. This helps communicators set up a series of messages more efficiently, rather than individually over a longer time. Notifications may then be sent immediately in an emergency or when information is time-sensitive. Publish and deliver with a single click. Administration settings grant permissions for specified users to create and publish messages from their computer or mobile device. The simple interface means this can be managed by the internal communications team, internal IT staff, HR or marketing department. It’s easy to deploy and update – IT support isn’t essential. With 225 full-time physicians and 2,300 healthcare workers across different locations, improving internal communications became an urgent objective for this hospital. The technology team at this New York hospital were frustrated by the current hospital staff communication channels not being fit for purpose. What they really wanted was a multi-purpose platform with "all the bells and whistles". How to overcome some of the most pressing issues affecting healthcare today. Hospital staff don't engage with email like they used to. What does this mean for announcements that everyone must be aware of?